Our O’Fallon Community Funeral Home located conveniently off Interstate 70 and Main Street in O’Fallon is nestled in a quiet neighborhood. A large chapel with seating for more than 125 with the ability to open into an overflow room. Two spacious, homelike visitation rooms with options from a small intimate gathering to a larger funeral or memorial service. A comfortably appointed lounge on the lower level offering refreshments, television and easy chairs. A children’s area offers helpful books and activities, child-size table and chairs. A childcare provider can be secured if requested. 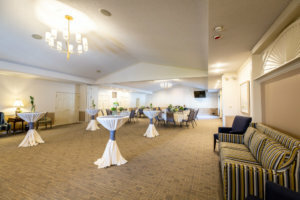 Reception and gathering room with catering services provided. *Formerly known as the Keithly-Davis Funeral Home and the Baue-Davis Funeral Home. Baue Funeral Home at 311 Wood St. in O’Fallon is yet another historical site in its community. The business was established in the late 1800s by Jacob Keithly and was originally located on Main Street. The Main Street location suffered extensive fire damage in 1958 but was renovated and reopened. In 1960, the business was sold to Arthur C. Baue and Jerry and Mary Ann Davis and renamed the Keithly-Davis Funeral Home. 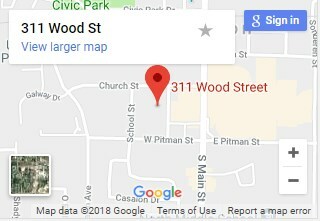 In 1970, the funeral home expanded to its present location at 311 Wood St. and in 1982 merged with Baue Funeral Home of St. Charles. 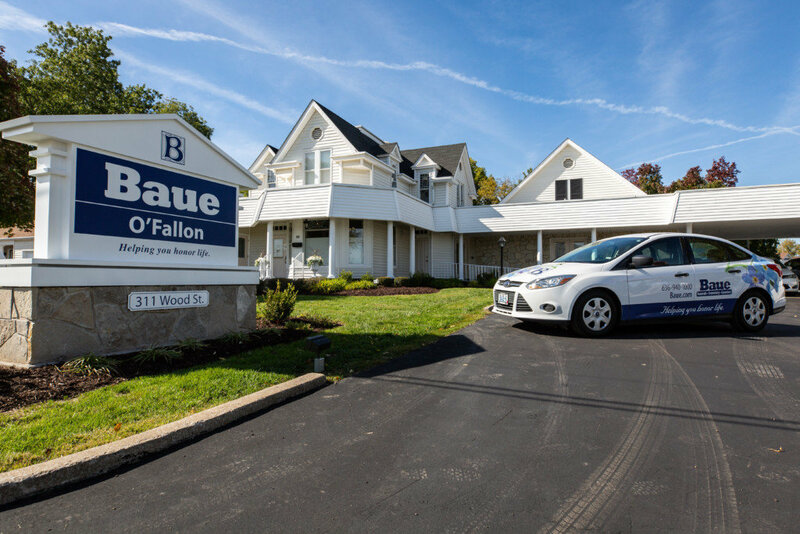 It became known as Baue-Davis Funeral Home and in 1990, the name was changed to Baue Funeral Home O’Fallon. Today our O’Fallon Funeral Home includes a large chapel with seating for more than 125. This chapel is ideal for larger services, with the ability to open into an overflow room. Services can be audio and/or video taped. Professional musicians can be secured or musical CD’s are available, as well as a video screen to enhance the service. There are two spacious visitation rooms from which to choose. Both provide options from a small intimate gathering to a larger funeral or memorial service. These rooms offer a spacious, comfortable and relaxed environment — much like your own home. 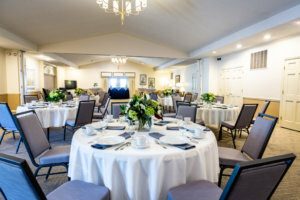 The larger room allows for a seating capacity of up to 200 people and can accommodate many floral arrangements and memory tables. A comfortably appointed lounge is available in the lower level offering refreshments, television and easy chairs. An attendant is on duty to provide for your refreshment needs. A children’s area offers helpful books and activities, child-size table and chairs. A childcare provider can be secured if requested. Learn more about our Family and Children’s Lounge and Catering and Reception Services. Please know our staff is available to assist you 24 hours a day, 7 days a week.